Communities should aim to ensure that every victim of sudden cardiac arrest is treated with a defibrillator within five minutes of arrest. Nearly 93% of the population of the United States is covered by some type of 9-1-1 service. Ninety-five percent of that coverage is Enhanced 9-1-1. Approximately 96% of the geographic US is covered by some type of 9-1-1 service. In the year 2010, nearly 100,000 automated external defibrillators (AEDs) were sold in the U.S. and the market is expected to double every 24 months. The median age for victims of sudden cardiac arrest is 65. Sudden cardiac arrest is one of the leading causes of death in the United States, claiming 250,000 to 450,000 lives each year. The annual incidence of sudden cardiac arrest is higher than the annual incidence of car accidents, breast cancer, prostate cancer and house fires combined.Life insurance premiums are greater the more prone to cardiac arrests one is evalued to be. Automated external defibrillators (AEDs) cannot be made to shock anyone who does not need to be shocked. Few medical interventions are as inexpensive to implement and successful at saving lives as early defibrillation. The cure for many cases of sudden cardiac arrest (SCA) is immediate treatment with a defibrillator. Learning to use an AED is simple and intuitive. Formal training takes about two to four hours (including CPR), but many untrained laypersons have been able to use AEDs successfully in actual emergencies. Healthcare providers with a duty to perform CPR should be trained, equipped and authorized to perform defibrillation. 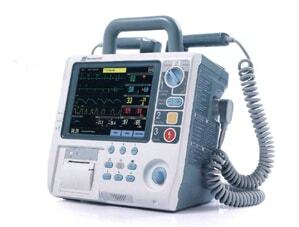 Sudden cardiac arrest occurs most often in the home.AED's are available at many Cpap supplies. Many lives could be saved each year if more people learned to call 9-1-1 immediately when there appears to be a cardiac emergency. The provision of CPR, while waiting for the defibrillator, is vitally important since it contributes to the preservation of heart and brain function. If a cardiac arrest victim is shocked with a defibrillator within the first minute of collapse, the chances for survival are close to 90%. If the victim is not defibrillated until 10 minutes after collapse, the chances of survival are close to zero. Many people who experience sudden cardiac arrest have no previous history of heart disease. 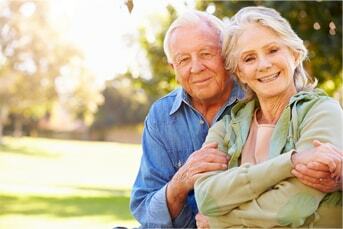 Sudden cardiac arrest (SCA) is not the same as a heart attack. Heart attack victims usually experience chest pain and are conscious. SCA victims usually collapse suddenly, without warning, and become unconscious. SCA can lead to death if it is not treated immediately. The rationale for widespread placement of automated external defibrillators (AEDs) is this: electrical therapy must be delivered immediately to victims of sudden cardiac arrest(less than five minutes after collapse) for it to be effective. Even the best emergency medical services (EMS) systems cannot always get to the scene this quickly.